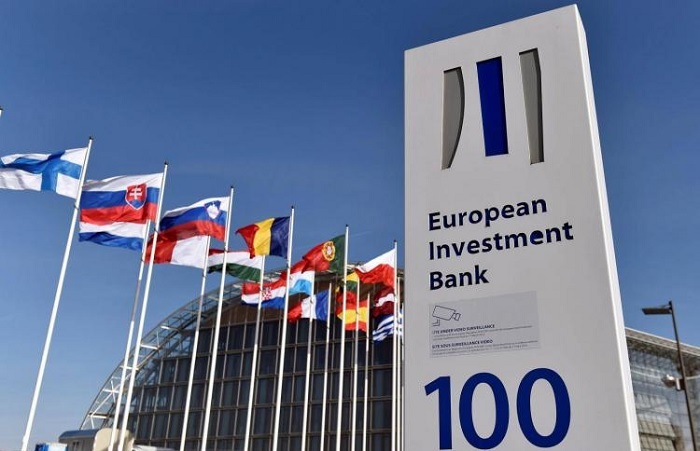 The European Investment Bank approved a total of € 4.8 billion for the private sector, transport, energy, housing and water sector investments, of which 864 million euros are supports for investments outside Europe. Demonstrating the commitment of the EU Bank, EIB President, directors and managing committee organized several days a detailed discussion covering the current and future funding, specific projects and best practices. "It is important for us that all EIB-funded projects meet the highest environmental and social standards, to reflect local concerns and pursue best policy practices. Yesterday's dialogue with the leading international and national NGO and industry organizations provided a valuable new contribution to our work. The importance of EIB activity in Europe and around the world is reflected in the range of projects adopted so far by improving local services and educational institutions in Europe to increase access to clean energy across Africa," said Werner Hoyer, President of the European Investment Bank. The EIB Board approved 2.3 billion euros of new direct and indirect funding that will increase access to finance from companies across Europe and Africa. This includes support for investment in agriculture and tourism in Italy, financing of investments in the Climate Change Sustainability Growth sector, companies in Benelux, and support for private sector financing in Egypt. Also, the EIB adopted a new loan program to support the financing of innovative companies owned by women in Italy. The EU Bank also agreed on direct funding for research and development in Belgium, Sweden, Germany, France and Spain. The EIB Board approved more than € 1 billion financing for rail, urban and electrical transport. This includes funding for 15,000 new electric and hybrid vehicles from a leading leasing company operating in France, Germany, Italy, Spain, Belgium and the Netherlands. The EIB will support the improvement of a 195 km-long railway route between Poznan and Szczecin in Poland and a major part of the rail link between Denmark and Germany, as well as the replacement of trams and buses in the Czech town of Pilsen. The board also confirmed funding for the first new direct rail connection at London Luton Airport. The EIB Board supported € 670 million in investments that will support renewable energy in Europe, Africa and Asia. Also agreed to finance an improvement of the Finnish national electricity transmission network. The new funding will support the increased solar energy use by families and small companies in Africa and Asia along with new investments in large-scale renewable energy and energy efficiency across Africa. Support for the construction of 500 solar roof systems in schools managed by the Palestinian Authority, which will significantly reduce energy costs, was also approved. The EIB Board Board's meeting agreed to support transformative investments in cities throughout Serbia for communities at risk of heavy flooding, to improve water and sanitation in small towns in Republika Srpska, Bosnia and Herzegovina, and rehabilitation along the Lana River in the Albanian capital, in Tirana. The EIB also agreed to support investments to improve research and teaching facilities at the Faculty of Space Engineering and Applied Chemistry at the Polytechnic University of Bucharest in Romania and the construction of a New Science Faculty at the University of Namur in Belgium. Funding for 6 projects approved by the EIB Board will be guaranteed by tEuropean Fund for Strategic Investments (EFSI).